*This is a sponsored post for SheSpeaks and Duracell. Every year, while I shop for and then wrap all of our holiday gifts not only for Grace but for our many nieces and nephews, it's Joe's job to keep track of the batteries we need for any of the many toys we are gifting for Christmas. Nothing can ruin a Christmas morning more than having a new toy to play with, but no batteries to power it up! So we are always prepared with a large stock of batteries in assorted sizes to go with each gift. I even pack some extras in my purse when we visit, just in case another gift giver forgets to include batteries with their gifts! During the winter months, we use a lot of AA batteries. 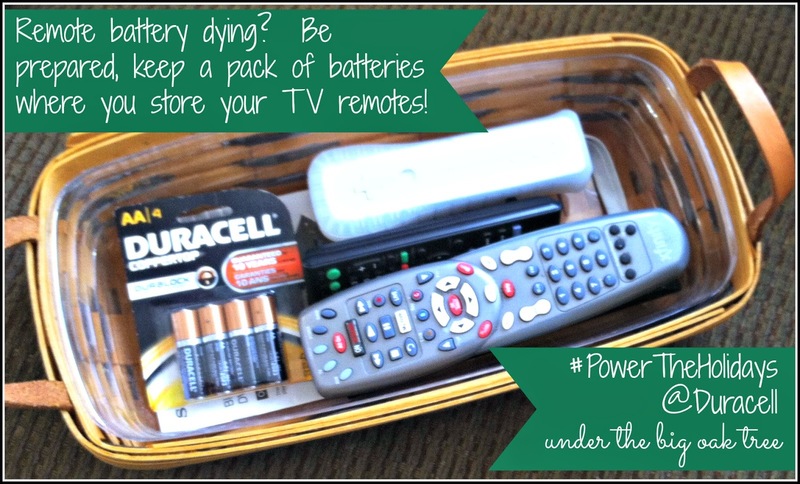 Between marathon bowling tournaments on the Wii and lots of family movie nights, we always need to be prepared with new batteries! In fact, while normally our battery stash is kept in the garage, along with a smaller stash in a kitchen drawer, I always have a smaller pack of Duracell AA batteries handy in the same basket we use to hold our remote controls! That way we don't have to go searching for the right size in the middle of our bowling match or when snuggled on the sofa watching Christmas movies on the Hallmark Channel! Right about now, I'm done with hitting the stores for my shopping. It's too cold outside and the parking lots are crazy! I'd rather sit by the fire with a cup of hot cocoa, with a Christmas movie on the TV and my laptop on my lap and shop online! Now, that's my kind of shopping! I'll be adding some batteries to my next online Walmart purchase! Our thermostat also takes a AA battery, so at the start of the winter season, Joe always replaces last year's battery with a new one. Always with Duracell batteries! We also use Duracell Batteries in our smoke detectors, flash lights and in one of my cameras. 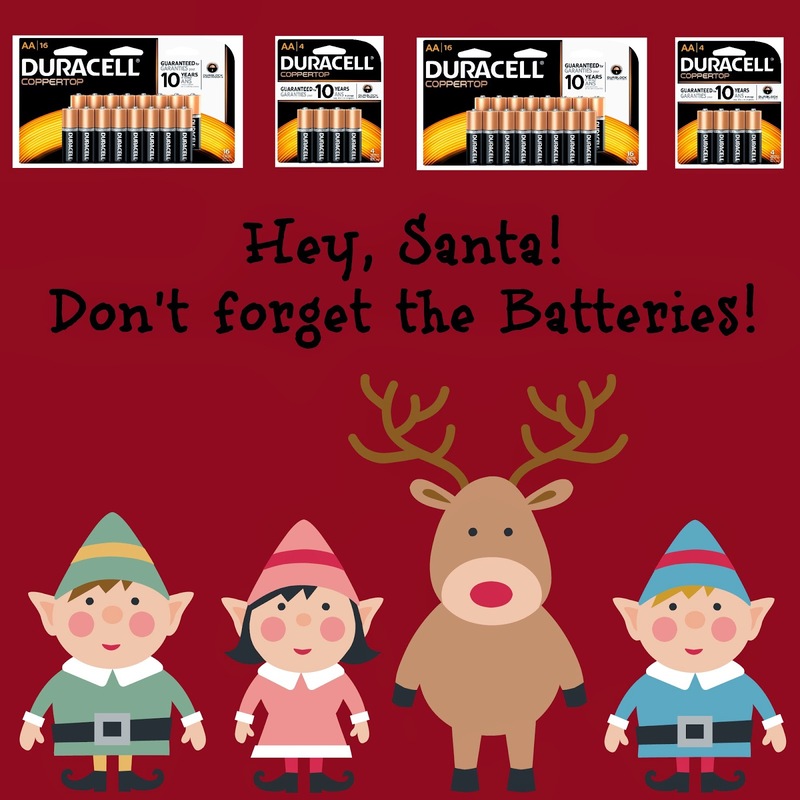 So, don't forget to check your gifts and get the batteries you need to go along with them! While you're at it, grab an extra pack or two just in case! 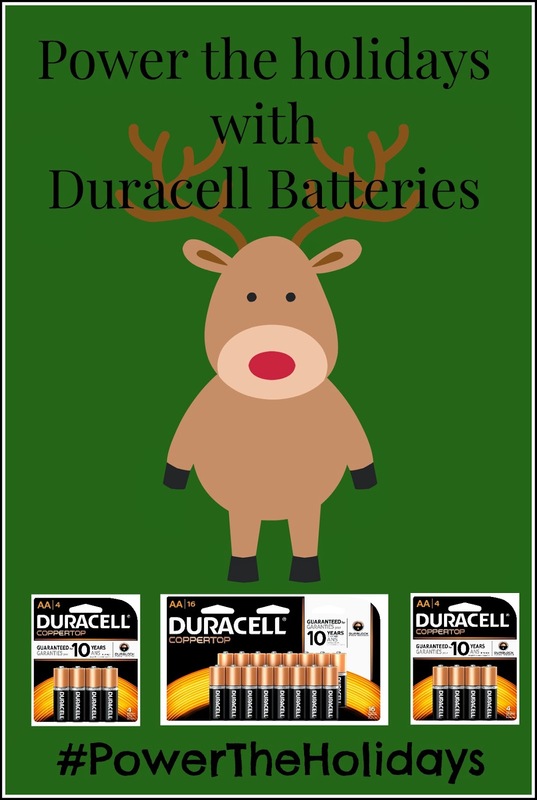 Power the Holidays with Duracell! With all the new toys my grandsons will get for Christmas, we definitely can't forget to stock up on batteries!